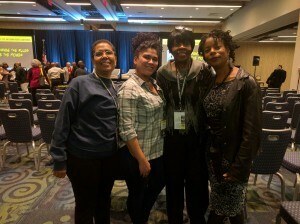 From left to right: Agueda Arias UFCW Local 888, Karina Rosado, UFCW Local 400, Angela Johnson UFCW Local 1000 and Kimberly Mitchell UFCW Local 400, attend a session at the MLK Conference. 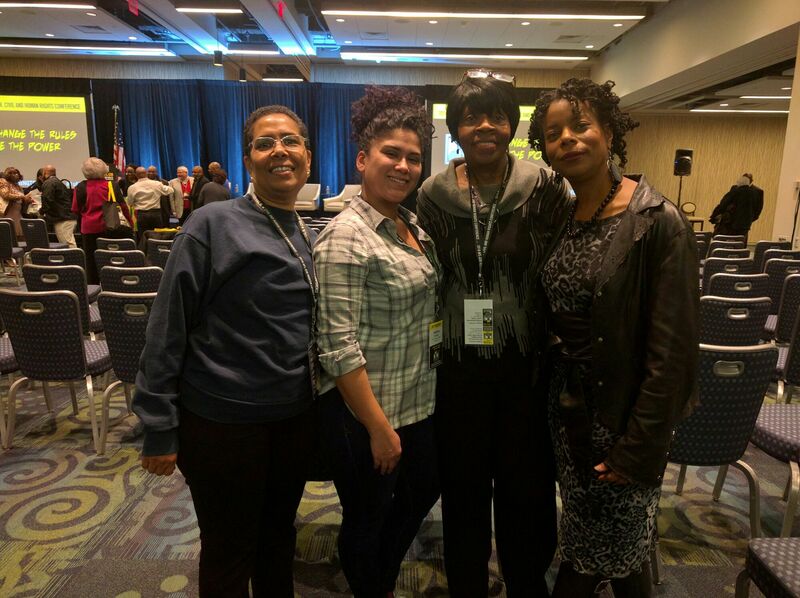 The AFL-CIO held its annual Martin Luther King (MLK) Conference last week in Washington, D.C., where UFCW members from across the country attended and participated. The conference, titled “Change The Rules, Be The Power,” revolved around organizing, politics, and other issues, openly discussing race, and activism — including the in-the-neighborhoods activism by its 1,000 delegates. At least one speaker urged the federation to openly endorse and back the Black Lives Matter movement, which has pushed the discussion about racial justice to the forefront of U.S. consciousness. A special AFL-CIO race and justice commission, co-chaired by UFCW International President Marc Perrone, is holding a series of hearings nationwide to get that discussion going. The MLK Conference also covered issues ranging from ending mass incarceration of minorities and immigrants, to the looming U.S. Supreme Court ruling that would make every state and local government a right-to-work fiefdom. One speaker noted that the right-to-work ruling would disproportionately harm minorities and women. The conference’s big secondary theme was the need to greatly increase organizing, both by the labor movement and its allies (faith groups, community groups, women’s groups, civil rights groups, environmentalists and others) in order to increase membership and supporters and marshal resources and people to call out and fight against the issues that would harm hard-working men and women in the 2016 election and beyond. 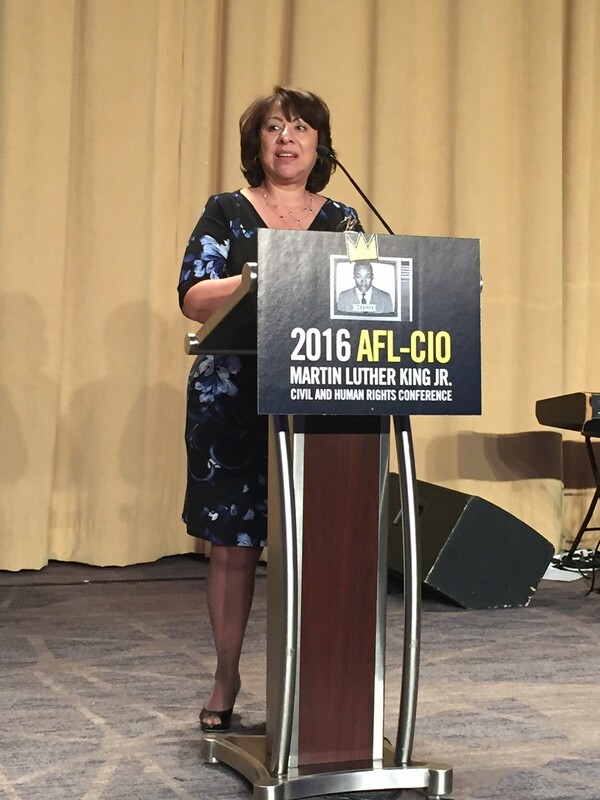 UFCW Executive Vice President Esther Lopez was honored with the distinguish, “At The River I Stand” Award. The conference agenda was packed with incredible speakers from union presidents, to community activists, representatives from worker centers, young workers and more. 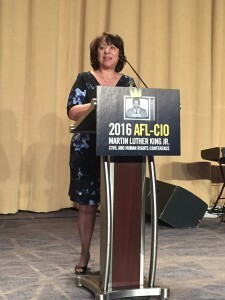 UFCW Executive Vice President Esther Lopez was honored with the distinguished “At The River I Stand” Award at the Sunday night awards dinner. During the conference, UFCW activists participated in many dynamic plenaries, workshops sessions, awards, events and community service projects. 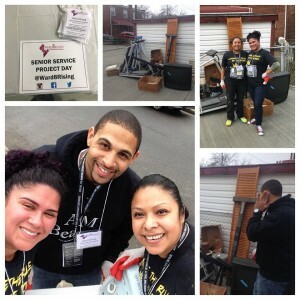 Some of the community service projects included cleaning the homes of senior citizens and preparing meal kits and food bags at food pantries. 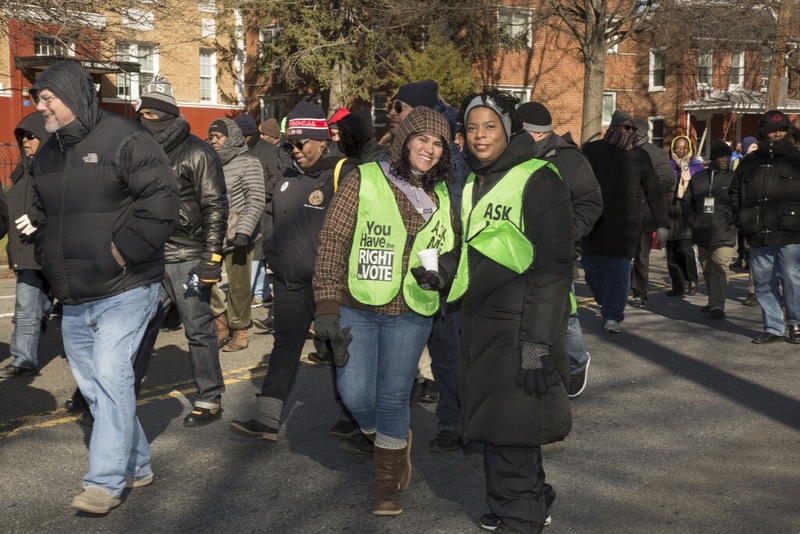 The conference ended on Monday with conference participants joining community members from Ward 8 in Washington, D.C. for their MLK parade. UFCW Local 400 members help with cleaning and doing minor repairs to senior citizens’ homes during Senior Service Project Day. During the service day, Agueda Arias from UFCW Local 888 prepares bags for potatoes and other food goods at a local food bank. 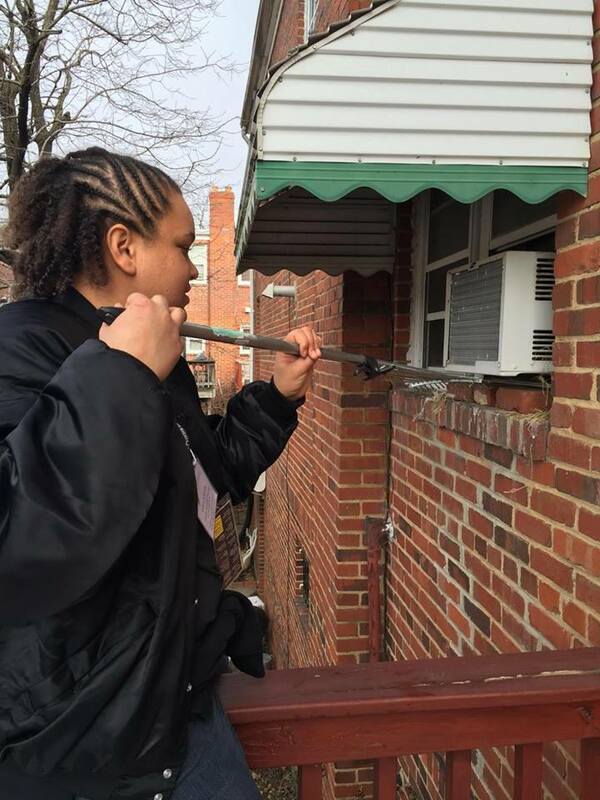 Kellie from UFCW Local 655 cleans windows during Senior Service Project Day. UFCW activists march in the D.C. Ward 8 MLK parade.